Some panoramic views in order to get a virtual tour about the theme requested. : croacia. 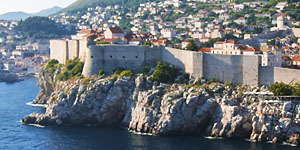 A panoramic photography of old town of Dubrovnik from the sea.